Hungarian-born entrepreneur, philanthropist, and investor who served as chairman of Soros Fund Management. He was born in Budapest, Hungary, and he lived in England for a time before moving to New York City in 1956. 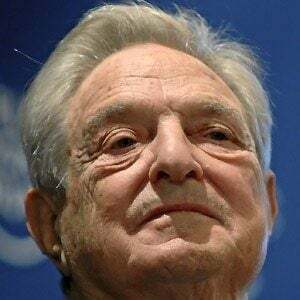 He donated more than eight billion dollars to charitable organizations and aided in Hungary's transition from a communist to a capitalist system. He married and divorced both Annaliese Witschak and Susan Weber Soros before marrying his third wife Tamiko Bolton in 2013. His first two marriages produced five children: Robert, Andrea, Jonathan, Alexander, and Gregory. He studied under philosopher Karl Popper at the London School of Economics.